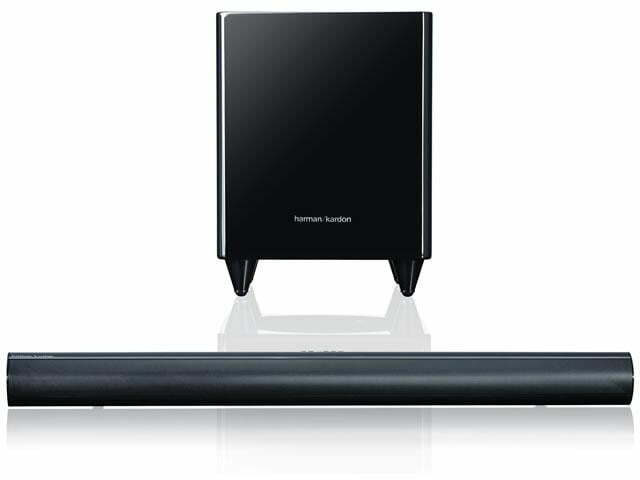 We’re looking forward to paying Harman Kardon a visit at CES this year. The company, well respected for its excellent sounding audio gear, has been busy breathing new life into its brand with some outstanding sounding iPod speaker docks, artsy computer speakers and, up until now, one sound bar model. H/K’s SB16 sound bar with wireless subwoofer must be doing well, because the company has just announced a bigger, badder model dubbed the SB30. The price? $800. That may sound like quite a chunk ‘o change but considering Yamaha, Bowers and Wilkins and others make sound bar solutions that go for over $2,000, the SB30 starts looking pretty attractive; assuming it sounds the part. The SB30 brings a few new tricks to to help enhance TV and movie watching without gobbling up precious square footage in your home. This model packs a total of 13 drivers ( six 2-inch woofers and seven 1-inch tweeters) which are powered by 11 amplifier channels. Signals fed to the SB30 are processed through some proprietary DSP to offer the listener a couple of different listening modes. The “Virtual” mode is intended to create a faux-surround effect from two-channel sources while the “Wave” mode creates a surround sound effect from 5.1 content. The wireless subwoofer included in the package fills out the low end with a down-firing woofer in a ported enclosure that doesn’t appear to take up too much space. It’s tough to say for sure, since Harmon Kardon sort of glazes over the subwoofer details in its press release, and the item isn’t yet listed on its website. That being the case, we’ll just have to give it a good look and listen while on the floor at CES this year!